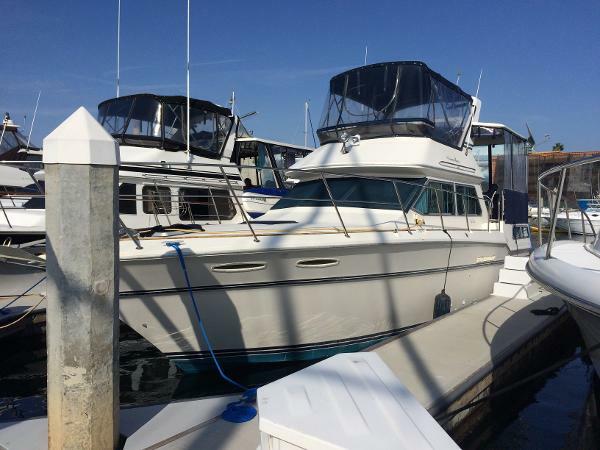 36' Sea Ray 1985 360 Aft Cabin Motoryacht. Motivated seller open to offers. Sea Ray built this boat on a modified V-hull capable of trawler style economy at 7-8 knot displacement speeds, but it is still able to achieve planing speed performance. 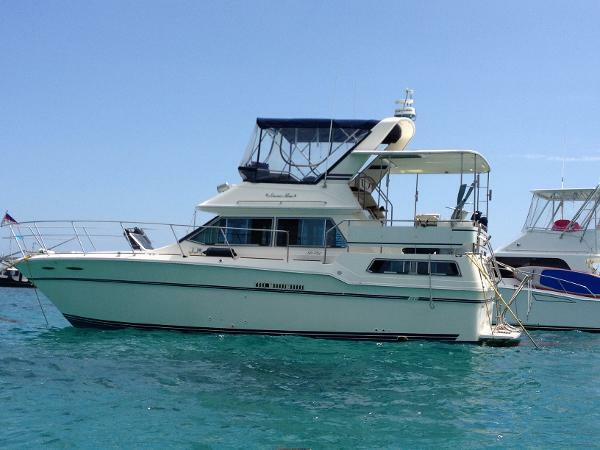 She has a roomy twin-cabin interior and the layout is somewhat unusual given that a walkaround double bed is located in the forward cabin. The salon is also quite open and roomy. NEW in late 2011/early 2012: Carpet throughout, synthetic wood flooring in galley and heads, window treatments (curtains), wood blinds, refaced galley cabinets, custom built ultra-leather sofa with storage, custom built leather ottomans, bridge mounted TV antenna and digital inverter, upgraded batteries and battery charger. New refrigerator, Canvas and Eisenglass replaced Port engine replaced in spring of 2005. Starboard Engine replaced in July 2013. Both have less than 350 hours on them. 2019 Starboard engine just overalled: New heads, valves, exhaust manifold and ignition coils. NEW anchor, water impeller replaced, propeller and shafts replaced & Bottom paint all in 2013. NEW Batteries. Vessel just hauled & replaced both main engine intakes, through hull valves & sea strainers 2018. 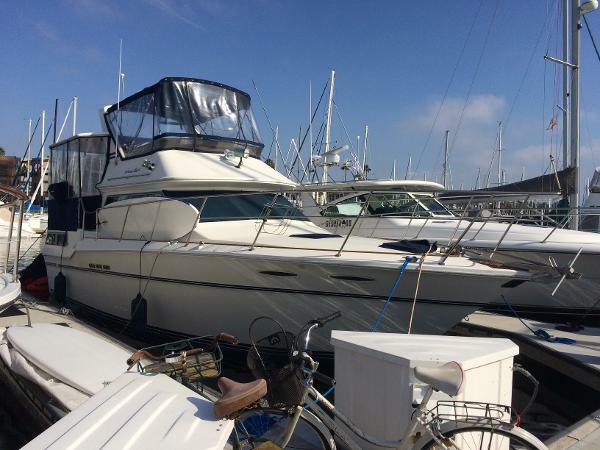 Please contact our office for more information and an appointment to see this boat.